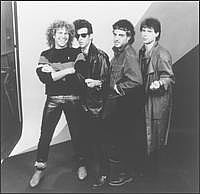 HSAS was a band made up of singer Sammy Hagar, guitarist Neal Schon (lead guitarist for Journey), bassist Kenny Aaronson and drummer Michael Shrieve. The group reportedly rehearsed for less than a month before playing in concert. They released a semi-live album, recorded during two live performances at the The Warfield in San Francisco, entitled Through the Fire, which includes a cover of Procol Harum's "A Whiter Shade of Pale". Some tracks played live in concert were not included on the album, including the song "Bookends". The album was edited in-studio to remove crowd noise, but otherwise was left as recorded. The band toured briefly in California in 1984. To record the album, the band played live dates from November 9-21 1983 with the Westwood One Mobile Facility. Two of the dates, November 14 and 15 at San Jose, CA were videotaped by MTV. This footage was aired at least once but never released on official videotapes or DVDs. A full concert was also aired on the radio as a Westwood One Broadcast. Original tracks that didn't make the HSAS "Through The Fire" album include, Tough Enough, Through The Eyes Of Love, Hope and Fear, Since You Came, and What Will Never Be. 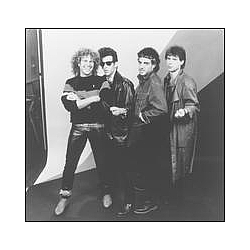 Sammy Hagar and Neal Schon were later bandmates in Planet Us. Schon has also played with Hagar as a solo artist. Schon and Michael Shrieve have also both played in Santana. Что вы думаете об исполнителе Hagar, Schon, Aaronson, Shrieve? Напишите ваш комментарий.